Dixon…Representative Tom Demmer (R-Dixon) was honored on Friday by the Illinois Psychological Association with their “Legislator of the Year” Award for 2017. 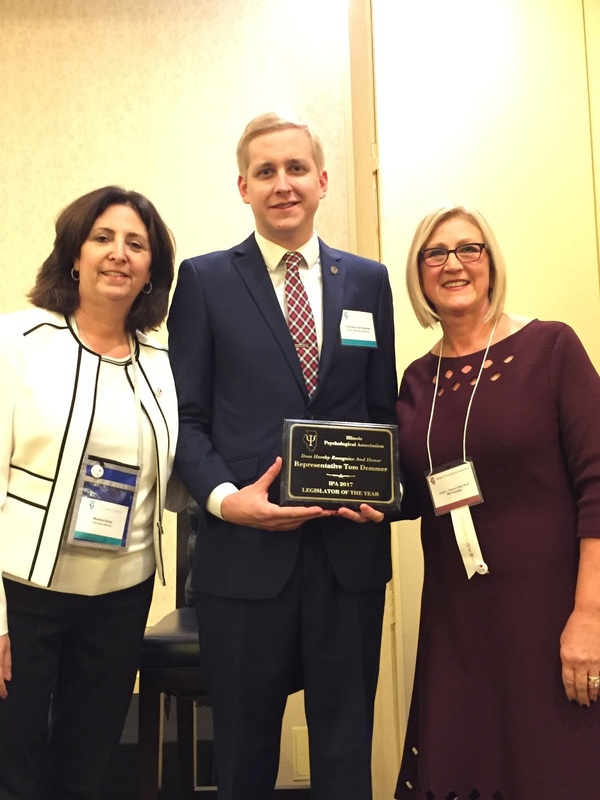 The Illinois Psychological Association (IPA) presented Demmer with the Award for his public and personal commitment to ensuring that those with mental illness received access to quality and affordable treatment. Founded more than 60 years, the Illinois Psychological Association is the largest professional association of psychologists with over 1,200 Illinois members and works closely with the American Psychological Association and its 150,000 members nationwide. IPA feted Demmer at their Annual Conference on Friday, November 3rd in Schaumburg.